VOCAL TRASH | Love Productions Inc.
“It’s entertainment with a conscience,” says Steve Linder, creator of Vocal Trash; a diverse blend of environmental performers who have been engaging audiences across the U.S. for over a decade. The musical aspects of this exciting, high-energy troupe from Texas appeals to everyone — from the very young to the very old — in its perfect mix of pop, rock, swing and classic oldies. 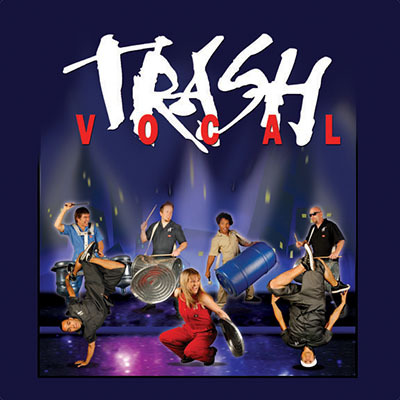 Vocal Trash combines uniquely recycled musical instruments, such as their “one of a kind” bass and guitars, with an industrial percussion section made-up of metal trash cans, plastic barrels, water bottles and other landfill rescued items.